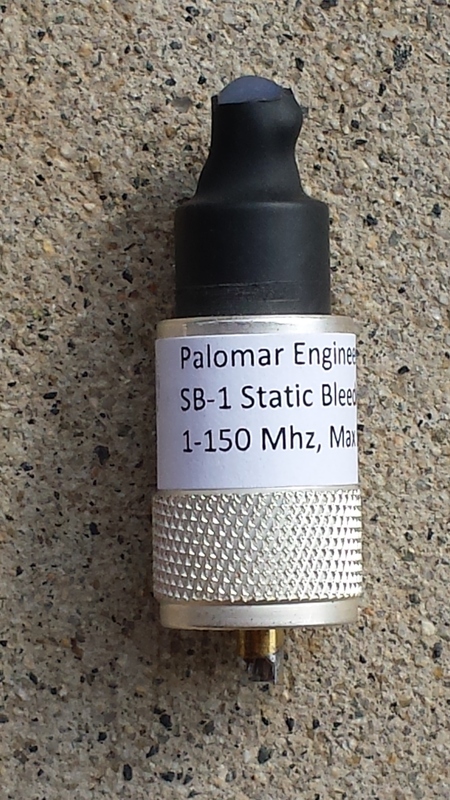 Model SB-1 is a static bleeder meant for 50 or 75 ohm coax line. It is rated from 1-150 Mhz at 1.5KW with a maximum SWR of 5:1 on the line. The bleeder is used on a coax “T” in line with the coax transmission line as shown in the picture below. To use procure a coax “T” and a male to male connector. Connect the SB-1 to the male to male connector and thence to the coax “T”. Static voltages are bled off from the center conductor to the outside conductor (braid of the coax). At the entrance to your radio station ensure that the outside conductor of the coax transmission line is grounded so as to provide a sink for the static electricity on the antenna center conductor. 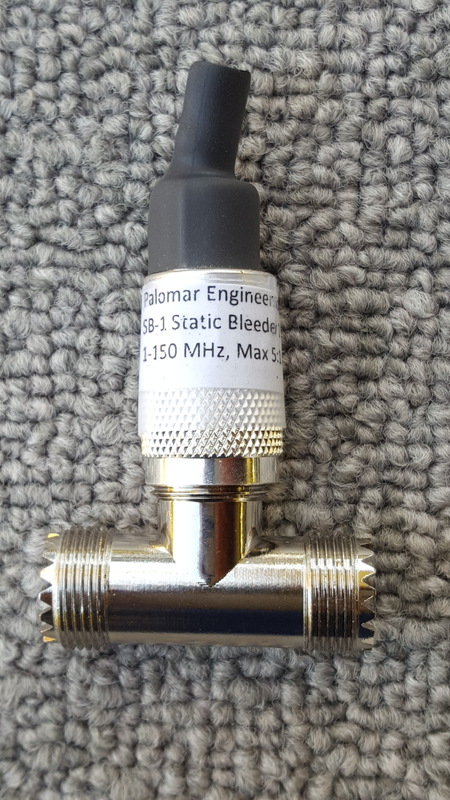 The SB-1 static bleeder is usually installed near the radio shack entrance on the antenna side of any 1:1 baluns/line isolators (between isolator and radio) if used. the connector is a male PL-259 and will fit into a SO-239 (female) or "T" with female counterpart to the PL-259. Small, convenient, effective and easy to install! 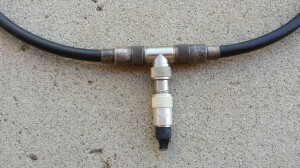 "T" connector shown in picture NOT included.